Door Gallery offers a wide range of fiberglass doors which allow for the addition of a variety of shapes of high-performance door glass. Please contact us and we will glad to explain you about the advantages of Wrought Iron Fiberglass doors, Stained Glass Fiberglass doors, Executive Fiberglass Doors, Smooth Fiberglass Doors, Woodgrain Fiberglass Doors, Custom Fiberglass Doors, Rustic Fiberglass Doors and more. We offer flush door panel as well as the ones featuring 2, 4 or 6 panels and matching sidelights. Flush doors offer an optimal solution in terms of price versus panel doors. The reason is the manufacturing process involves less labor and wood. Our fiberglass door panels have beautiful definition and are HCFC-free in order to protect the ozone layer. The polyurethane core provides insulating properties that are six times greater than any wood door. In addition, our formula is free of chlorofluorocarbons (CFC, the substance partially responsible for the destruction of our precious ozone layer). Our engineers have developed high quality PVC stiles and rails.The PVC stiles and rails protect all sides of the door from moisture. Unlike wood stiles and rails, PVC stiles and rails do not bow or rot. Furthermore, the PVC stiles and rails provide a full thermal break against even the worst weather conditions. 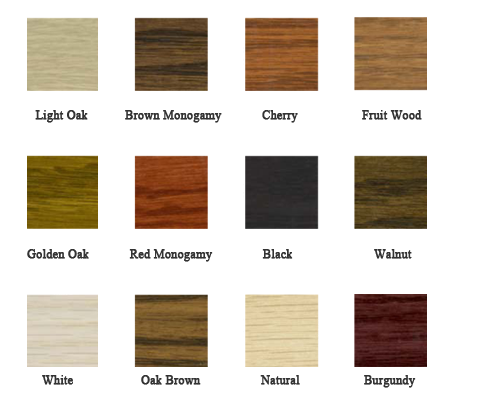 The superior oak grain provides the warmth and feel of real wood. 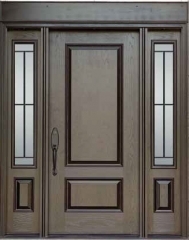 Whether stained or painted, Designer Arch Fiberglass Entry Door retains a natural wood grain better than any finish applied to a real wood door. Door Gallery will stain the door to your specification and satisfaction with a 10 year warranty on the stain. The strength, quality and durability of Fiberglass ensure a maintenance free system that will preserve all its beauty and functionality throughout its lifespan. 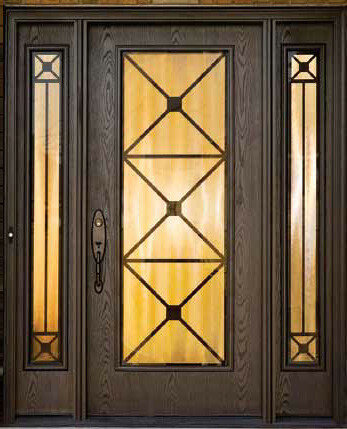 From authentic wood grain finishes to embossed panels, painted or stained, all our Fiberglass entry door systems are maintenance free and will not warp, crack, rot, or split. 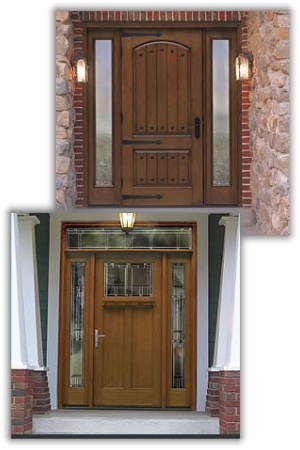 For More information about the Fiberglass front and entry Doors or schedule FREE appointment, please contact us. Copyright © 2019, Door Gallery. All Rights Reserved. Design and SEO by - G-Media - Creative Solutions.